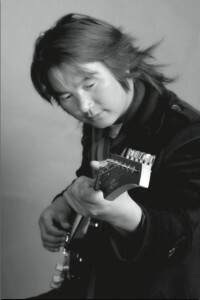 Rangzen Alliance » Tashi Dhondup, a popular Tibetan musician is free! We’re excited to share with you news that Tashi Dhondup has been released after serving most of his 15-month prison sentence. He was detained at gunpoint in December 2009 and accused of “composing subversive songs” following the release of his popular album “Torture without Trace”. Tashi Dhondup is part of a growing wave of Tibetan writers, musicians, and intellectuals who are boldly defying Chinese authorities by openly expressing their loyalty to the Dalai Lama and desire for freedom. Radio Free Asia has reported that he has safely returned to his home county of Yuglan, in eastern Tibet, and was warmly received along the way by locals with scarves and greetings. Read more about his release. A new translation of Tashi Dhondup’s song “Waiting with Hope” is now available on the Tibetan blog High Peaks Pure Earth Join us in celebrating his release by viewing and sharing this video. The price for defying Chinese rule is steep. There are more than 800 known political prisoners in Tibet today. In spite of the risks, Tibetans across Tibet continue to resist against all odds. Your actions do help! Please keep the pressure on the Chinese government to release Tibetan prisoners of conscience. SFT has highlighted the works of Tashi Dhondup, and those by many other detained Tibetan writers and artists, as part of the Renaissance Series, a monthly event aimed at amplifying the songs, poems, and writings banned in Tibet. Join us in calling on China to release Norzin Wangmo, a female cadre and writer from Ngaba, in eastern Tibet. Following the widespread protests in 2008, she was sentenced to 5 years in prison for speaking on the phone and on the Internet about Chinese government abuses in Tibet. The Chinese government’s harsh reaction to Norzin Wangmo’s actions demonstrate how threatened it is by the growing resistance movement inside Tibet. As we watch the revolution unfolding in Egypt, the Chinese censors are working double time. Hu Jintao knows that freedom is contagious and that no dictatorship lasts forever. Through our collective efforts, we can support and encourage Tibetans, Chinese, Uyghurs, Mongolians and everyone who is fighting for their freedom. Thank you for standing with Tibet.